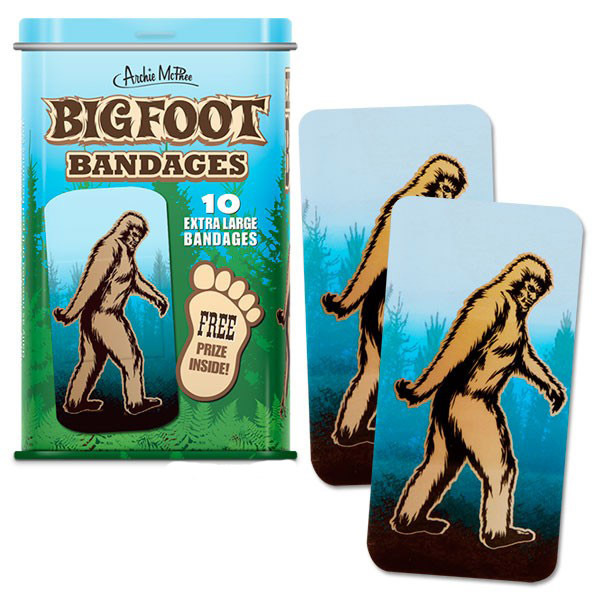 We imagine that anyone with feet the size of Bigfoot’s must need bandages all the time. 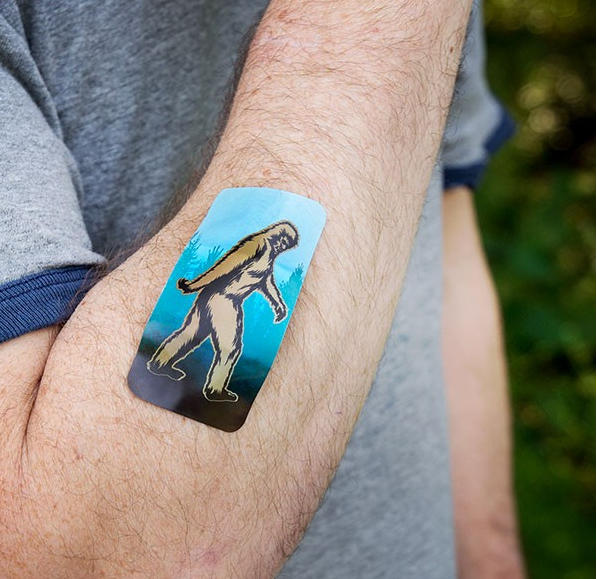 We’ve made this pack of 10 extra large Bigfoot-decorated bandages 3" x 1½" (76 mm x 38 mm) so they’ll cover even oversized blisters and boo-boos. 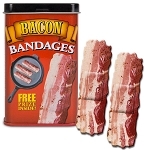 Comes in a lovely 3¾" (9.5 cm) tall metal tin. 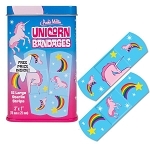 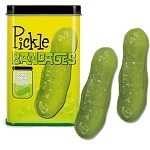 Latex-free adhesive.